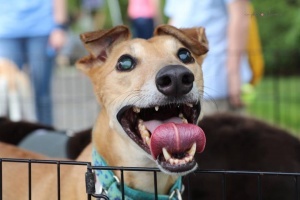 Greyhounds Giving Back – We Adopt Greyhounds, Inc.
Share the joy of your special hound with those in need! 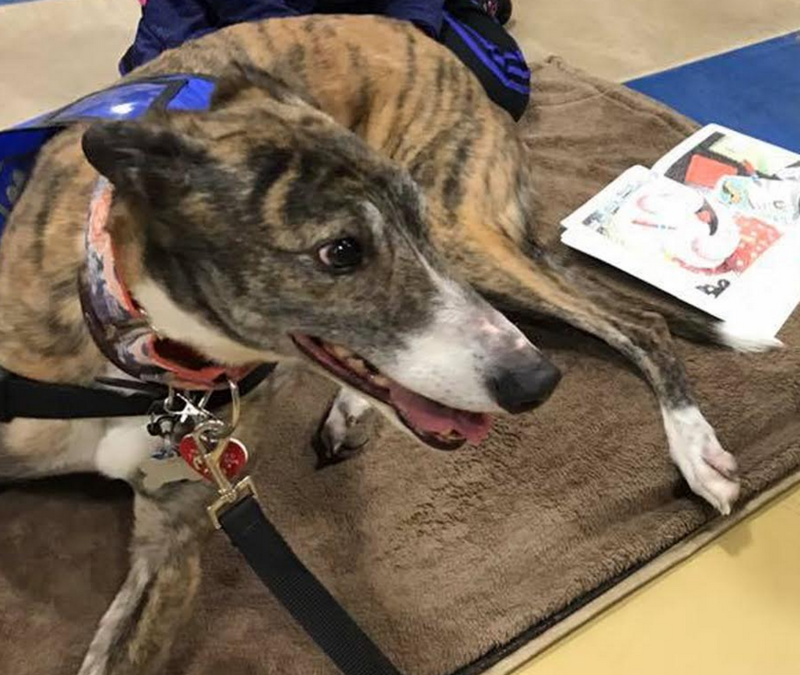 Greyhounds have been performing valuable service to our community as Registered Therapy Dogs for years. 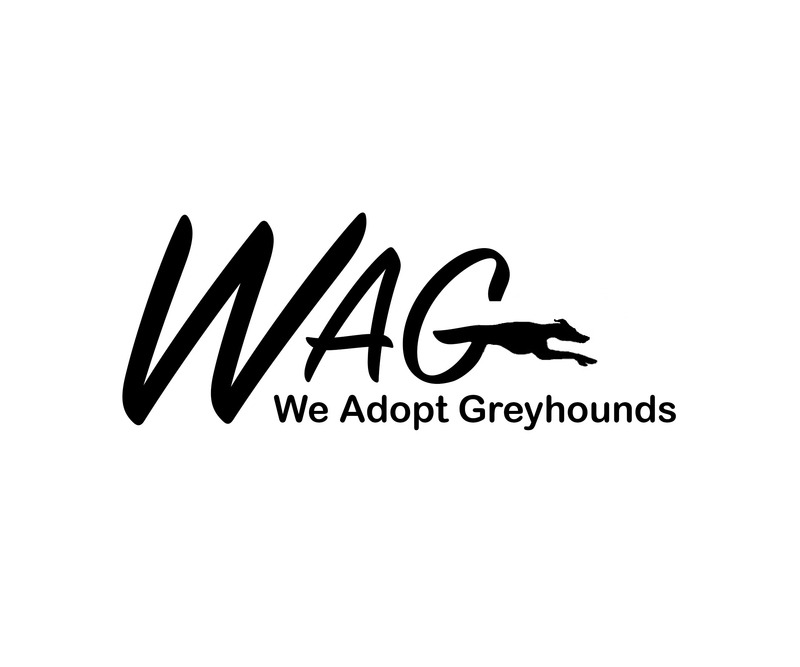 We at WAG currently have several teams volunteering their time to visit local institutions such as hospitals, schools, nursing homes, and colleges. Therapy dog community service is not only excellent exposure for the breed to highlight their calm and gentle nature, but more importantly we can see firsthand the wonderful benefits of animal therapy for the lives of others. The hugs and happiness tell the story. If you feel your dog could be a good candidate to bring smiles to others, we encourage you to consider the program for therapy dog training in your area. WAG Member, Moon, completed his first therapy dog visit! Way to go, Moon!